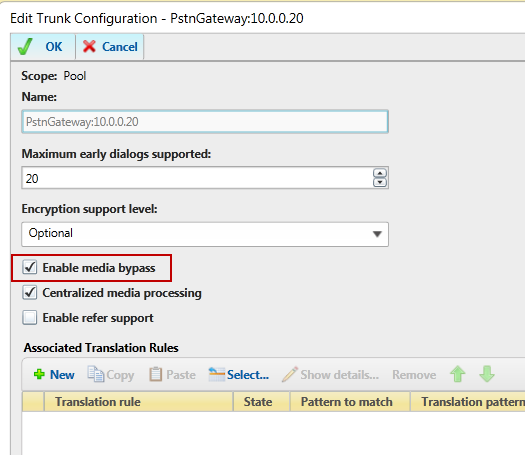 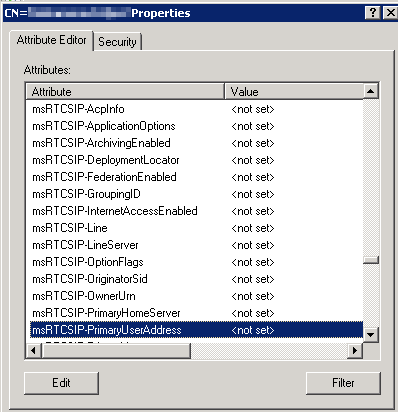 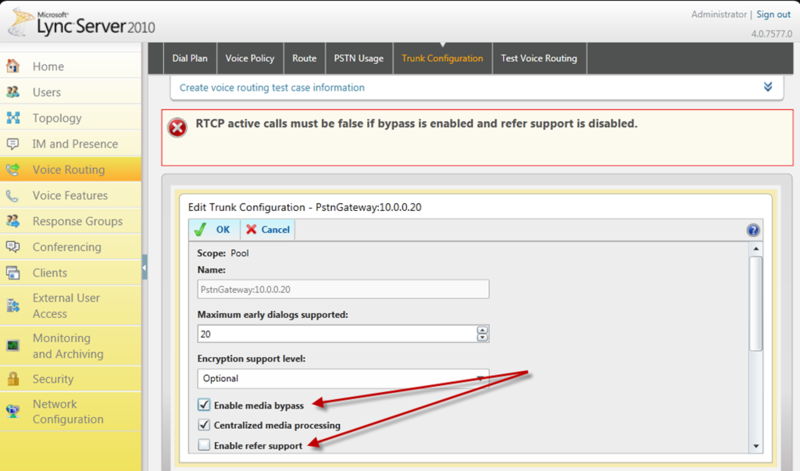 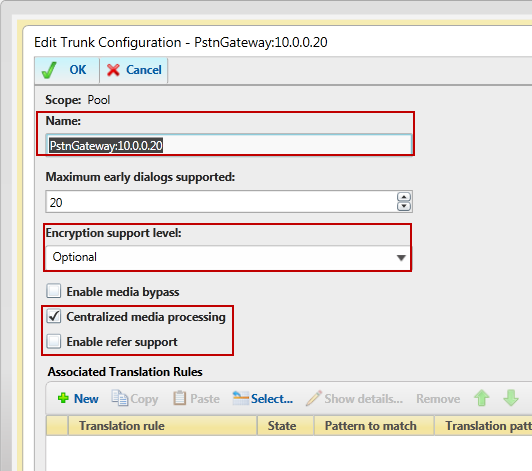 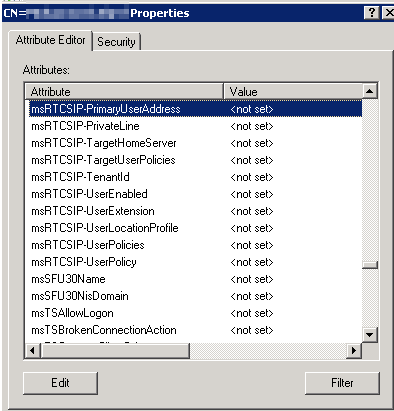 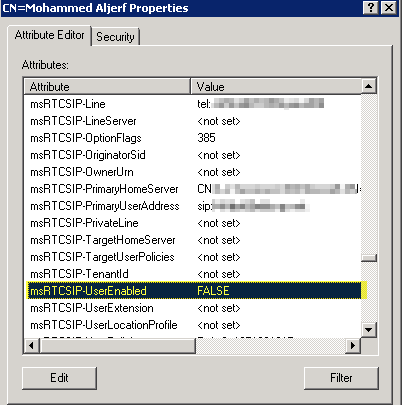 In this post, we will user ADSI Edit to look into a Lync Enabled user Properties, and note what changes when we temporarily disable, and remove the user from Lync. 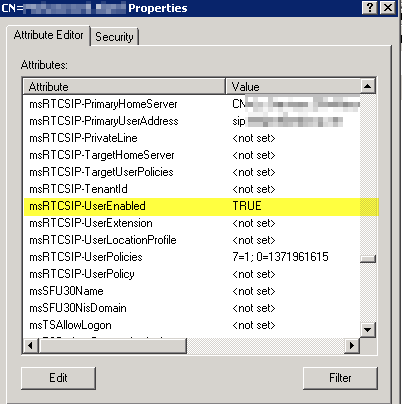 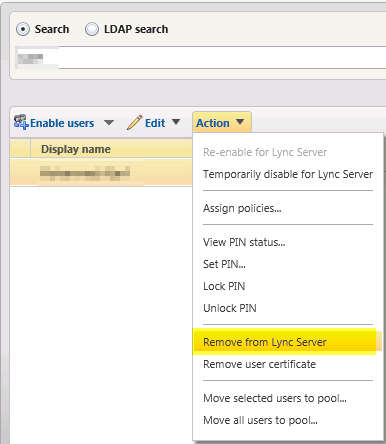 Selecting “Remove From Lync Server” for a user: Will remove all Lync attributes from the user. 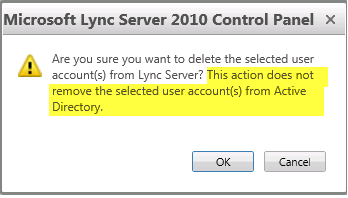 and the Active Directory user itself will not be deleted. 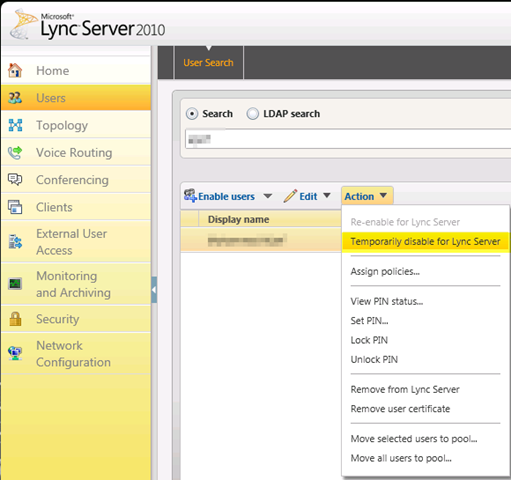 We see both are True by default, Also note the EnableSessionTimer status is False.